"Jefferson City" redirects here. For other uses, see Jefferson City (disambiguation). Jefferson City, officially the city of Jefferson and informally Jeff, is the capital of the U.S. state of Missouri and the 15th most populous city in the state. It is also the county seat of Cole County and the principal city of the Jefferson City Metropolitan Statistical Area, the second-most-populous metropolitan area in Mid-Missouri and fifth-largest in the state. Most of the city is in Cole County, with a small northern section extending into Callaway County. Jefferson City is named for Thomas Jefferson, the third president of the United States. The city won a 2013 essay contest sponsored by Rand McNally, and was named "Most Beautiful Small Town"
Jefferson City is on the northern edge of the Ozark Plateau on the southern side of the Missouri River in a region known as Mid-Missouri. It is 30 miles south of Columbia, Missouri, and sits at the western edge of the Missouri Rhineland, one of the major wine-producing regions of the Midwest. The city is dominated by the domed Capitol, which rises from a bluff overlooking the Missouri River to the north; Lewis and Clark passed the bluff on their historic expedition upriver before Europeans established any settlement there. Many of Jefferson City's primary employers are in service and manufacturing industries. Jefferson City is also home to Lincoln University, a public historically black land-grant university founded in 1866 by the 62nd Regiment of U.S. Colored Troops with support from the 65th Regiment of U.S. Colored Troops. In pre-Columbian times, this region was home of an ancient people known only as the "Mound Builders", having been replaced by Osage Native Americans. In the late 17th century, frontiersmen started to inhabit the area, including Antoine de la Mothe Cadillac, Louis Jolliet, Jacques Marquette, Robert de LaSalle, and Daniel Boone, with the latter having the greatest influence on the region. Daniel Boone's son, Daniel Morgan Boone, would later lay out Jefferson City in the early 19th century. When the Missouri Territory was organized in 1812, St. Louis was Missouri's seat of government, and St. Charles would serve as the next capital. However, in the middle of the state, Jefferson City was chosen as the new capital in 1821, when Thomas Jefferson was still living. The village first was called "Lohman's Landing", and when the legislature decided to relocate there, they proposed the name "Missouriopolis" before settling on the city of "Jefferson" to honor Thomas Jefferson. Over the years, the city became to be most often referred to as "Jefferson City" and the name stuck. For years, this village was little more than a trading post located in the wilderness about midway between St. Louis and Kansas City. In 1825, the settlement was incorporated as a city and a year later, the Missouri legislature first met in Jefferson City. Jefferson City was chosen as the site of a state prison. This prison, named the Missouri State Penitentiary, opened in 1836. This prison was home to multiple infamous Americans, including former heavyweight champion Sonny Liston, assassin James Earl Ray, and bank robber Pretty Boy Floyd. During the Civil War, Jefferson City was occupied by Union troops and the elected state legislature was driven from Jefferson City by Union General Nathaniel Lyon. Some of the legislators later reconvened in Neosho and passed an ordinance of secession. Missouri was claimed by both the Confederacy and the Union, as was neighboring state Kentucky. Missourians were strongly divided and many people in the state—especially in St. Louis—supported the Union, while other areas (such as Missouri's Little Dixie) were strongly pro-Confederate along the Missouri River between Jefferson City and Kansas City. German immigrants created vineyards in small towns on either side of the Missouri River, especially on the north from the city east to Marthasville, located outside of St. Louis. Known as the "Missouri Rhineland" for its vineyards and first established by German immigrants in the mid-1800s, this region has become part of Missouri's agricultural and tourist economy. 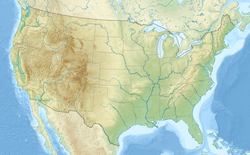 According to the United States Census Bureau, the city has a total area of 37.58 square miles (97.33 km2), of which 35.95 square miles (93.11 km2) is land and 1.63 square miles (4.22 km2) is water. Jefferson City has a humid continental climate (Dfa) with hot, rainy summers and cold winters. The city borders on having a humid subtropical climate but falls just short due to January having a mean temperature of 30 °F (−1 °C) which is below the 32 °F (0 °C) isothern. Thunderstorms are common in both the spring and summer. Light snow is common during the winter, although about half of wintertime precipitation falls as rain. As of the census of 2010, there were 43,079 people, 17,278 households, and 9,969 families residing in the city. The population density was 1,198.3 inhabitants per square mile (462.7/km2). There were 18,852 housing units at an average density of 524.4 per square mile (202.5/km2). The racial makeup of the city was 78.0% White, 16.9% African American, 0.3% Native American, 1.8% Asian, 0.1% Pacific Islander, 0.8% from other races, and 2.2% from two or more races. Hispanic or Latino people of any race were 2.6% of the population. There were 17,278 households of which 28.8% had children under the age of 18 living with them, 41.6% were married couples living together, 12.4% had a female householder with no husband present, 3.7% had a male householder with no wife present, and 42.3% were non-families. 36.2% of all households were made up of individuals and 11.5% had someone living alone who was 65 years of age or older. The average household size was 2.21 and the average family size was 2.89. As of the census of 2000, there were 39,636 people, 15,794 households, and 9,207 families residing in the city. The population density was 1,454.4 people per square mile (561.6/km²). There were 16,987 housing units at an average density of 623.3 per square mile (240.7/km²). The racial makeup of the city was 81.5% White, 14.7% Black or African American, 0.4% Native American, 1.2% Asian, 0.1% Pacific Islander, 0.6% from other races, and 1.5% from two or more races. 1.6% of the population were Hispanic or Latino of any race. There were 15,794 households of which 27.9% had children under the age of 18 living with them, 44.4% were married couples living together, 10.8% had a female householder with no husband present, and 41.7% were non-families. 36.1% of all households were made up of individuals and 11.9% had someone living alone who was 65 years of age or older. The average household size was 2.21 and the average family size was 2.90. The median income for a household in the city was $39,628, and the median income for a family was $52,627. Males had a median income of $35,050 versus $25,521 for females. The per capita income for the city was $21,268. About 7.3% of families and 11.5% of the population were below the poverty line, including 17.1% of those under age 18 and 7.1% of those age 65 or over. The John G. Christy Municipal Building houses the city hall. The State Capitol is located in Jefferson City. In addition, state agencies are headquartered in Jefferson City. The Missouri State Archives is located in Jefferson City. The Missouri Department of Corrections (MDOC) operates the Jefferson City Correctional Center (JCCC) and the Algoa Correctional Center (ACC) in Jefferson City. JCCC replaced the Missouri State Penitentiary on September 15, 2004, which until its closure was the oldest operating penal facility west of the Mississippi River. It served as the State of Missouri's primary maximum security institution, and it housed male death row prisoners until April 1989, when they were moved to the Potosi Correctional Center. The United States Postal Service operates several postal facilities. The Jefferson City Main Post Office building previously shared occupancy with the U.S. District Court from its dedication in November 1934 until September 27, 2011 when it moved into the Christopher S. Bond Court House. The 118,000-square-foot courthouse is named for the former Governor and United States Senator from Missouri. The courthouse, which is occupied by the Central Division of the United States District Court for the Western District of Missouri and under the appellate jurisdiction of the United States Court of Appeals for the Eighth Circuit, was designed to achieve the U.S. Green Building Council’s LEED Gold rating. Sustainable design features include reducing water use by 44 percent, using 13 percent recycled content, diverting 80 percent of construction waste materials from landfills, and it is 36 percent more efficient than current energy standards. As the state capital, Jefferson City is a tourist destination for the Missouri State Capitol, Missouri State Penitentiary, Missouri Governor's Mansion, and Missouri State Museum. Ranked by U.S. News & World Report in 2007 as a top educational institution for international students, Lincoln University also helps draw students and tourists from many other states and countries. The major daily English-language newspaper in the area is the Jefferson City News Tribune. Several monthly magazines cover Jefferson City and/or the surrounding areas: Jefferson City Magazine, Her Magazine, Capital Lifestyles, and Professional Day. Jefferson City, along with Columbia, is part of the Mid Missouri television market. KRCG, the region's CBS affiliate, and KNLJ, a station owned by the Christian Television Network (CTN), are both licensed to the city. Jefferson City Public School District currently operates Jefferson City High School, a ninth grade center, two middle schools, and eleven elementary schools. The district will open Capital City High School in Fall 2019. In addition to public education, there are also five private elementary schools and three private high schools, including Helias High School, in the city. Lincoln University is a public historically black university with open enrollment and certificate, associate, bachelor, and graduate programs. Columbia College, William Woods University, Metro Business College, and Merrell University also have campuses in the city with varying degree levels and options. Although Jefferson City is one of the four state capitals that is not served by an Interstate highway, Interstate 70 passes by the city 30 miles (48 km) to the north in Columbia. U.S. highways in the city include U.S. Routes 50, 54, and 63. Missouri Routes 179 and 94 also run through the city, giving it four highways that intersect with I-70. The Jefferson City station, located in the former Union Hotel at Jefferson Landing State Historic Site, is one of many stops provided by Amtrak, the sole intercity passenger railroad service in the United States. A Greyhound bus stop near the Eastland Drive Convenient Food Mart also provides intercity transit. Jefferson City Memorial Airport, which is located in the Jefferson City limits of Callaway County, Missouri, serves general aviation but has no scheduled commercial airline service. 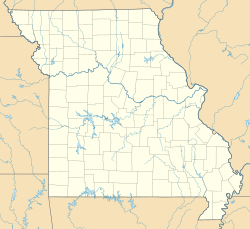 ^ a b "Capital of Missouri – Jefferson City ***". www.spangledwithstars.com. Retrieved 9 June 2017. ^ ""Contact the Mayor."". Archived from the original on May 7, 2006. Retrieved 2010-09-19. CS1 maint: BOT: original-url status unknown (link) City of Jefferson. Retrieved on May 21, 2010. ^ "Jefferson City — Departments". Archived from the original on 10 September 2014. Retrieved 9 June 2017. ^ a b "US Gazetteer files 2010". United States Census Bureau. Archived from the original on 2012-07-14. Retrieved 2012-07-08. ^ a b c d "American FactFinder". United States Census Bureau. Retrieved 2012-07-08. ^ a b "City and Town Population Totals: 2010-2017". Retrieved May 26, 2018. ^ "Chapter 01 - General Provisions - Laserfiche WebLink". documents.jeffcitymo.org. Retrieved 2019-01-13. ^ "Cole County, Missouri Place Names, 1928-1945 | The State Historical Society of Missouri". shsmo.org. Retrieved 2019-01-13. ^ "Welcome to City of Jefferson, Missouri". www.jeffersoncitymo.gov. Retrieved 2019-01-13. ^ "Table 10. Rank by 2010 Population and Housing Units: 2000 and 2010" (PDF). US Census Bureau. Retrieved 10 July 2016. ^ "Best of the Road by Rand McNally". Best of the Road by Rand McNally. Archived from the original on March 24, 2016. Retrieved 9 June 2017. ^ Moorman, Amy (2014). "Picture This" (PDF). The Missouri State Archives...Where History Begins. Missouri State Archives. ^ "Average Weather in Jefferson City, Missouri, United States, Year Round – Weather Spark". weatherspark.com. Retrieved 9 June 2017. ^ "NowData – NOAA Online Weather Data". National Oceanic and Atmospheric Administration. Retrieved 2013-12-08. ^ "Kansas City Daily Climate Records/Normals". National Oceanic and Atmospheric Administration. Retrieved December 8, 2013. ^ ""Jefferson City Correctional Center."". Archived from the original on May 7, 2006. Retrieved 2010-09-19. CS1 maint: BOT: original-url status unknown (link) Missouri Department of Corrections. May 7, 2006. Retrieved on September 18, 2010. ^ "MidMoGIS Mapping Website Archived 2011-07-18 at the Wayback Machine." City of Jefferson. Retrieved on September 18, 2010. ^ a b Lombardi, George, Richard D. Sluder, and Donald Wallace. "The Management of Death-Sentenced Inmates: Issues, Realities, and Innovative Strategies Archived 2010-05-27 at the Wayback Machine." Missouri Department of Corrections. 8. Retrieved on September 18, 2010. ^ "Post Office Location – JEFFERSON CITY Archived 2010-11-26 at the Wayback Machine." United States Postal Service. Retrieved on September 18, 2010. ^ "Christopher S. Bond U.S. Courthouse". www.gsa.gov. Retrieved 9 June 2017. ^ "2016 PAFR – Laserfiche WebLink". documents.jeffcitymo.org. Retrieved 9 June 2017. ^ "Total Gross Domestic Product for Jefferson City, MO (MSA)". Federal Reserve Economic Data (FRED) St. Louis Fed. 2017-09-20. Retrieved 2018-06-23. ^ "Real Total Gross Domestic Product for Missouri". Federal Reserve Economic Data (FRED) St. Louis Fed. 2018-05-04. Retrieved 2018-06-23. ^ Bernardo, Richie. "2017's Best & Worst Small Cities to Start a Business". Retrieved 9 June 2017. ^ "The Top 10 Cities for Career Opportunities in 2016 - SmartAsset.com". SmartAsset. Retrieved 9 June 2017. ^ "The Dwight D. Eisenhower System of Interstate and Defense Highways - Part VII - Miscellaneous Interstate Facts". Federal Highway Administration. Retrieved June 3, 2018. ^ "Jefferson City Missouri Bus Station – Greyhound". locations.greyhound.com. Retrieved 9 June 2017. Wikimedia Commons has media related to Jefferson City, Missouri. Wikivoyage has a travel guide for Jefferson City. Wikisource has the text of the 1911 Encyclopædia Britannica article Jefferson City.